Made this site when The Head Trip - came out. 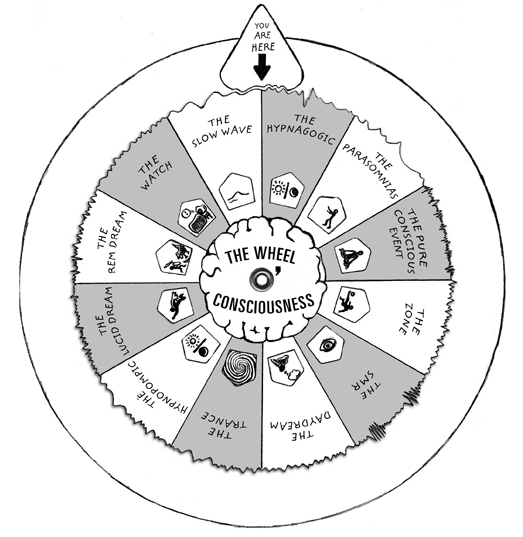 If you click on each wheel segment you can read a little blurb about each different state of consciousness. Also excerpts the entire introduction of the book, and has some other stuff too. “Cities are plastic by nature. We mold them in our own images: they, in their turn, shape us by the resistance they offer when we try to impose our own personal form on them." -Jonathan Raban, Soft City. I spent 2 years building an impressionist encyclopaedia of cities. Read about it here.